So your Insta is looking a bit blah, you’re feeling uninspired and you want to research some new ideas. Problem is, you need to navigate a whole World Wide Web of sites to find some! Okay there’s Pinterest. And Instagram. But that’s not enough. You’re looking for something truly unique, truly new. Sure, there are plenty of handmade and party blogs, or Pins where you can find what you want. But you want to find the next unicorn (elusive!) You need to explore emerging trends! But how? If you have a quick look on Google, you will see a lot of authoritative sources for trends. But these reports tend to cost hundreds of dollars. Not exactly high priority spending for a small party business. You can still keep your finger on the pulse and stay ahead of the pack. It’s a little more work, but it’s worth it for giving your business an edge. Below is a summary of sources I have used to get a feel for emerging trends. It’s not quite ‘definitive’, but rather, inspirational, and you would still need to figure out the practical implementation and how to apply it to your party biz – whether it be product development or theme ideas. Would love to hear what everyone thinks! Social media, devices, and online services have a very real impact on trends, even in the party world. Simple examples are the event hashtag (most popular for weddings), wedding websites, digital printables and custom Snapchat filters. The popularity of photo booths could also be attributed to the rise of social media, selfies and the ubiquitousness (correct according to dictionary.com) of smartphones. In terms of themes, Emoji parties have also been popular. Some of the current big ideas in technology are the Internet of Things and Augmented Reality. Perhaps these trends will translate to the party arena in the form of new party games? Or virtual parties? It remains to be seen. On a personal level, I think a new mini device I’ve seen advertised might make an impact. It’s called the Prynt, and it’s a mini smartphone photo printer. Instant photo favours? Or instant photo memory books? Below is a wedding board featuring a hashtag specific to the bride and groom, by Ruby and Co.
A wedding board featuring a hashtag specific to the bride and groom. This one is not really a surprise. Disney releases, Harry Potter, Pixar and popular kids’ cartoons all dominate party themes. But when a new huge movie or TV show is released, try to think about the wider themes and related topics and how they might have an impact on trends, even on a subconscious level. It might be a stretch, but when I think about the galaxy food trend, I can’t help but think about the popularity of the new Star Wars and the Big Bang Theory. It’s not only for kids either. Check out this epic fantasy themed wedding, inspired by Game of Thrones. The impact of music clips (and music, but I want to focus on visual trends) on popular culture cannot be denied. One dominant example are shutter shades, which have become hugely popular as party favours and photo booth props. These were rocked by Kanye West in the video for Stronger back in 2006. Keep watching MTV! Below, party favour shutter shades I picked up at a dollar store. Shutter shades have become popular at parties recently. I have separated this one from the first point because this one applies to machinery that can create (somewhat) traditionally mass produced physical products within the home or studio. This helps create small businesses through the democratisation of manufacturing. It includes new inventions or existing inventions re-worked for the home desktop. Recently we have seen the electronic die cutter or plotter, the laser cutter, the 3D printer and even edible ink printers prosper. The influence these products have had on trends is undoubtable. The cake topper trend is definitely a result of the popularity of cutting machines. This trend can also be seen in the popularity of acrylic and timber engraved invites. Kickstarter is a good place to look for these kinds of machines. I’m patiently waiting for a desktop digital foil printer! In addition to the above, we’re also seeing current heavy industrial machinery being used for smaller scale creative businesses, for example, hot wire cutters for foam signage and CNC routers. A laser cut timber cake topper by One Five 8 Designs. Pantone is the standard for colour specifications across the world. They regularly make announcements on hue predictions for the year, accompanied by related colour schemes. The predictions are based on a range of cultural and social forces. You can stay up-to-date here. There are also seasonal reports that are handy too. Here is an interesting article about why it’s a huge deal. But if you don’t believe me, last year’s colour was Greenery. Right on the money, no? In my opinion, these three areas make up the corner stone of the retail industry. Stemming from fashion, their influence flows on to all other industries setting the tone for moods, colours and patterns. It’s pretty obvious the effect these areas have on party design. Last year’s copper and marble obsession was a taken straight out of the interior trend books! Luckily, trends in these areas are easier to come by – just Google ‘fashion or interior trends’ with the year and you will find heaps. If you’re really stuck, just walk into a Typo or Sportsgirl. There’ll be plenty of inspiration! Alternatively you can check out Reed Gift Fairs, one of the biggest retail trade fairs in Australia. Rose Gold & Marble. 🙌🏻 Bridal Shower invites now up in the shop! Three years ago, I wouldn’t have believed this. But with the advent of Instagram and food blogging, food has a huge influence on parties (and party food!). Ever wondered how the unicorn trend was born? Well, according to Refinery29 it all started with Unicorn Toast! But way before that, there was rainbows, and of course donuts! And it goes way beyond just the food itself – it’s also about the display and the embellishments – donut walls are proof of that. A donut wall by Donut Wall Melbourne. Publishers were nervously awaiting the death of the print publication not too long ago. But here we are in 2017, and the industry is still alive and thriving. Whilst I have already mentioned fashion and other retail industries, I want to emphasise that the magazine should not be underestimated as a source for trends. A periodical, by its very definition, exists to keep people up to date, and provides a sensory experience unmatched by any other medium. Also, magazine editors are more likely to have early access to trend reports, trade fairs and shows. With an abundance of professionals on its roster, including editors, art directors and stylists, browsing a magazine is the perfect way to immerse yourself in trends which have been analysed and curated by experts. I like to think of magazines as the translators of trends – they analyse and organise, based on what they know about their audience. Plus, is there anything more satisfying than a beautifully laid out page of colours and patterns, and ripping them out for a cork moodboard? Enjoy finding some new trends. Even if you’re wrong, you still have a unique product! 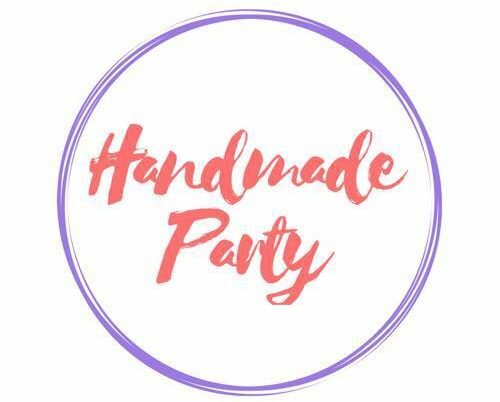 If you’re interested in some more exclusive content for your handmade party biz, check out our related support group on Facebook! We’ve just released an online research cheat sheet – so grab your hands on it by joining!